Many gardeners or would be gardeners are intimidated by the prospect of pruning garden plants. It is perhaps the most mis-understood garden maintenance practice. But if you know what the objective is behind it, it becomes much simpler. Consider first why you are pruning the plant. Then when is best for the plant, distinct from when is best for you. Sometimes the only time to prune is when you have time to do it. Restricting the size of a plant, to avoid overpowering adjacent plants and the landscape. Removing growth that distracts from the shape, balance or symmetry of the plant. To remove diseased, dead, or diseased plant tissue, the Three Ds. Stimulate flowering and/or fruit production of old plants. Create a desired plant form, like a simple hedge or a more complex espalier. Direct growth in a particular form to eliminate or prevent problems. For example, reducing high of roses to prevent winter wind rock. Remove plant parts that obstruct views or visiblity, access, or conflict with structures or utility lines. How to prune depends on the plant type. The RHS narrows it down to 13 distinct groups, but you can take a broader and simpler view. Consider first just three categories: broadleaf evergreen, narrowleaf evergreen and deciduous plants. Each type responds differently to pruning, so know the plant type before you begin. These have broad, wide, or flat leaves. Shedding of old leaves and the growth of new ones synchronise so that the plant looks like it is never without leaves. Hence the term “evergreen”. Broadleaf evergreen plants include some of the most popular landscape plants. 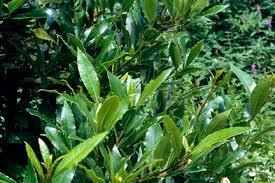 Examples include hollies, ligustrum (privet), photinia (most often Red Robin), elaeagnus, euonymus, azaleas, pyracantha, nandina (chinese or sacred bamboo), gardenia, pittosporum, osmanthus, buxus, camellia, aucuba, mahonia, fatsia, and magnolia. Smaller leaved plants like Berberis also come into this category. Broadleaf evergreens have latent buds along the branches and stems that can become a growing bud. A latent bud remains dormant until stimulated into growth. The presence of these special cells allows fairly drastic pruning of these plants without fear of killing them. There are also dwarf forms with a compact, dense growth habit. These may need little or no pruning to control size or shape. Tip pruning may be used to encourage a thick, well-shaped plant, but can need rejuvenating after a few years. They can be pruned severely (6 to 12 inches from the ground) with satisfactory results. Do this in early spring, before any new growth begins. But others are substantial vigorous growers in need of annual or twice yearly pruning to control them. Tip pruning or trimming each year controls size or shape and is good practice for fast-growing broadleaf evergreen plants. Conifers are mostly shrubs and trees that will not tolerate severe pruning. The narrowleaf evergreens have tiny, scale-like or needle-like leaves. Many produce a fruit-like cone, which gave the name “conifers”. Examples include junipers, arborvitae, pine, cedar, spruce and teh controversial Leylandii. These evergreen shrubs need occasional foliage shearing in early spring to control size. they are without the latent buds that broadleafs have, meaning that you cannot prune them as severely. In fact if you cut back beyond the last green shoot you can end up with vast brown areas scarring the plant. Conifers have a “dead zone”, located on the older portions of the branches of the plant. To avoid the “dead zone”, never remove more than one-third of the foliage. If you remove all the scales or needles with a pruning cut, no new growth will occur on the remaining limb, and drastic pruning of narrow-leaved evergreen plants can kill them. This is why regular attention is essential. When they get too tall or wide little can be done to reduce them, other than complete removal. Prune your conifers by removing a portion of the new lush growth, sometimes called the”candle”. Once this growth has matured the buds present on it may not develop and grow. Trimming the tips of new growth, as you do with a hedge trimmer, before it matures can stimulate buds into growth. The effect is to make the face of the hedge fuller and smoother. Deciduous trees and shrubs have leaves like broadleaf evergreens but shed their leaves in the autumn or winter. They can be pruned hard without fear of killing them, like the broadleaf evergreens. Some common deciduous shrubs include forsythia, spiraea, weigela, lilac, rose, quince, honeysuckle, and hydrangea. They’ll may need pruning to control the size and shape of the plant. Light to moderate tip pruning encourages thick new growth, resulting in bushy plants. Deciduous plants also may be pruned harder (thinning) or severely (rejuvenation), methods normally used before new growth begins in the spring. Pruning the tips encourages a thick, well-shaped plant. That is effectively what happens with regular trimming. Light tip pruning removes only a few inches of stem tips. This method is used to encourage bushier growth as it starts in the spring. Thinning encourages broadleaf plants to flower and put on strong growth. This method is performed before the new growth begins. Older or weaker branches should be cut back to a lateral branch or completely to the ground. Shearing – hedge trimming – controls the shape and size of all types of shrubs. Shearing calls for clipping the newest foliage, usually just the surface couple of inches of new growth. Actually, shearing is a type of tip pruning that removes minimal foliage. Broadleaf evergreen hedges and screens are often sheared to promote thick, dense foliage. The largest leaves of some hedging plants are not easy to trim and maintain a tidy finish. the larger the leaf the further away it should be from scrutiny. For hedges that are more closely observed try to use smaller leaved plants. Rejuvenation is severe pruning used only on broadleaf evergreens and deciduous plants to control overgrown, leggy, and straggly plants. Use this method of pruning garden plants in early spring before the beginning of new growth. For example, use it for fast growing clump-forming shrubs such as Buddleia and Mahonia. Cut back hard one-third of the oldest limbs each year. Espalier is the art of training the plant against a wall. Tall walls are best for this method. Pruning may be necessary several times throughout the year to direct the desired shape and form. 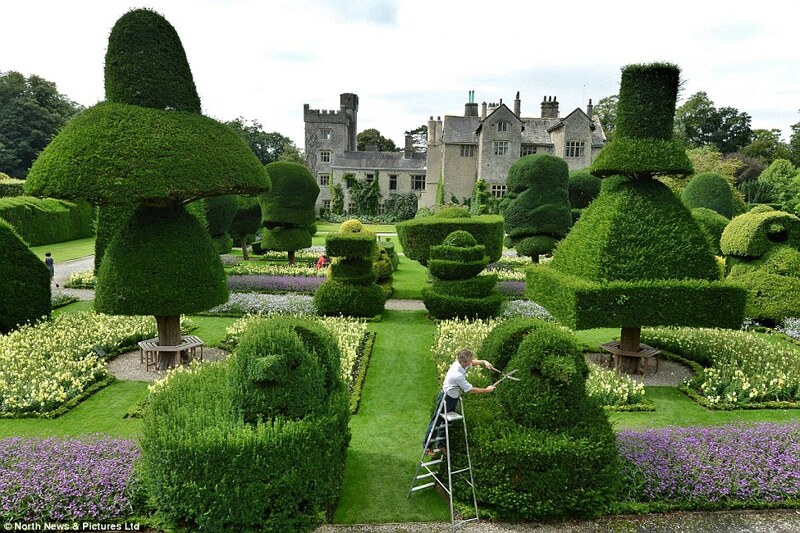 Topiary is the art of shaping plants into ornamental forms by careful pruning or trimming. Pruning is required several times during the year to keep them in perfect definition. The time of year for pruning garden plants is important. Pruning at the wrong time will stimulate new growth, possibly left exposed to early frosts or freezes. It could also remove flower buds that have formed, reducing next year’s flowers. The following guidelines will help you prune your plants at the proper time. Most pruning is for size control, and should be done in late winter through early spring. Pruning garden plants should take place after the landscape feature of your plant has passed. For spring flowering plants, prune in late spring as the flowering season is ending; this allows for adequate growth during the summer to produce flower buds for the next year. For fall-flowering plants, such as some of the camellias, use tip pruning or thinning method. Prune as the flowering season is ending. Plants with berries should be left until birds have eaten them. For plants that produce flowers on one-year-old wood (usually those that bloom after June), such as hydrangeas, glossy abelia, and crape myrtle, cut away only those branches with spent flowers or prune (thinning method) in late winter to promote vigorous spring growth. The first frosts have made their mark, leaving all tender bedding and perennials are black and mushy. Here are a few things that must be done now to prepare your garden for winter. This list of jobs includes lifting tender plants to protect overwinter and mulching those that will be left in situ. 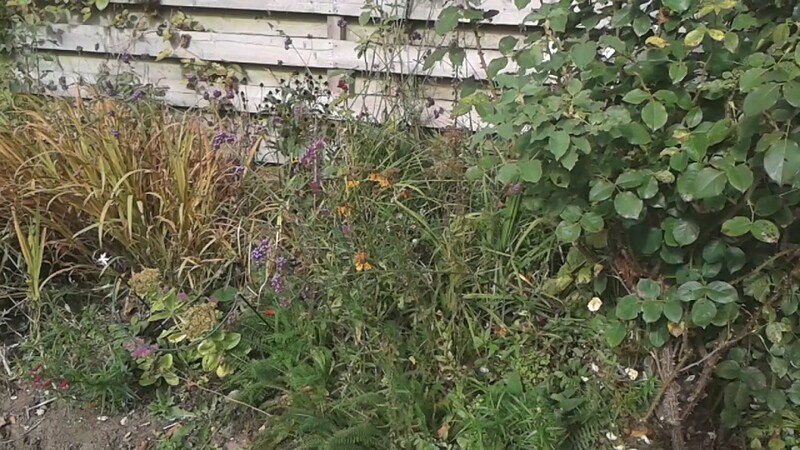 You’ll also need to clear the residue of perennial plants that have now died back for winter. And now is the right time to move and replant dormant shrubs. You can also plant new bare root or root ball plants. Clearing the detritus means the winter framework is left to be enjoyed. Those nagging jobs would otherwise distract you from the winter beauty. The worst problem now is the masses of leaves that need collecting from lawns. Those in borders are untidy but won’t do any harm. Those left on the lawn for more than a week will set it back, so get them into leaf bins or onto the compost heap. The dahlias and cannas have been hit by frost and need to be cleared, as do the calla lillies. 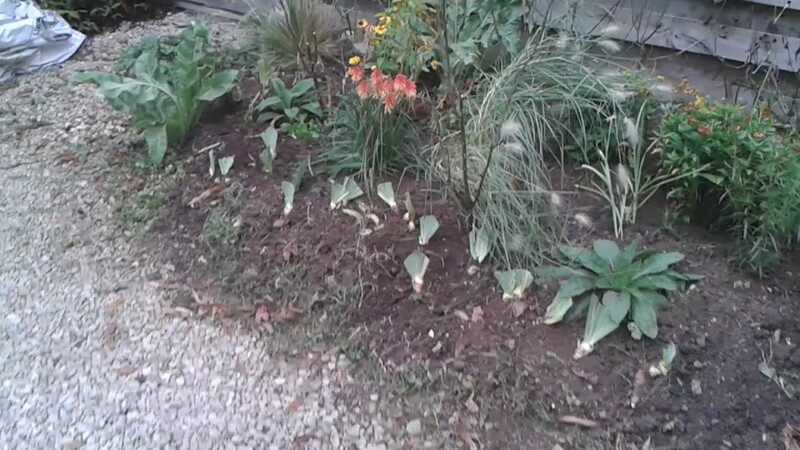 I have treated them all largely the same, but this year am leaving some cannas in the ground. These will have an initial mulch of grit or gravel. Mulches can be topped up when I do a winter compost mulch of the entire bed. Others will retire to the greenhouse to be kept slightly damp. If the ground looks like it will freeze I might have to remove them all to the greenhouse. The gravel serves to stop frost penetration but does not keep moisture at the crown, or that is the theory anyway. It also shows me where they are, so when I dig the beds over to remove weeds I don’t stick my fork into them. Using a gravel mulch to mark location and protect the crown. I employ a similar tactic when planting bulbs. Just covering the surface where they are planted with gravel helps me to see where they are. It eventually gets turned into the soil and helps with the overall balance and my drive towards perfect soil; eight years working on it and some to go still. Some bulbs will also benefit from having a little grit or gravel underneath to prevent rotting in damp soils. They need just enough to stop water gathering and rotting the basal plate. 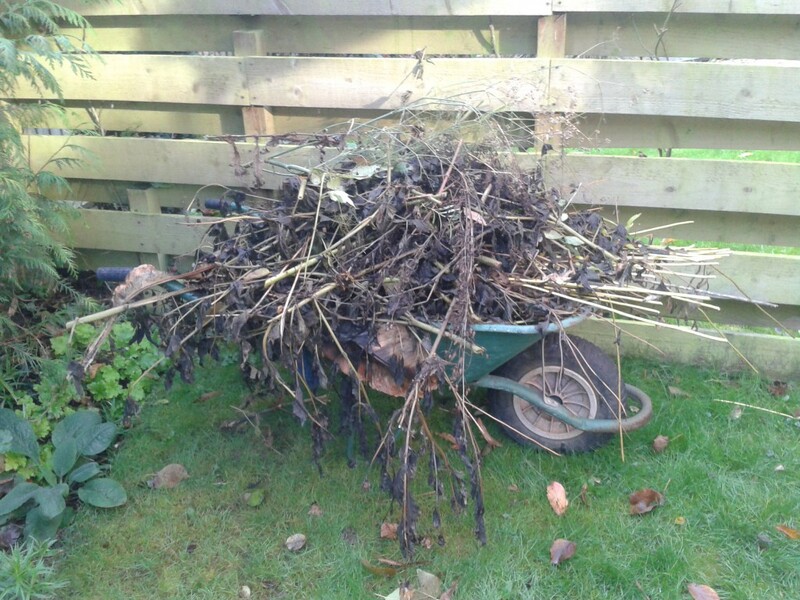 Clearing away the detritus of the autumn will also prepare your garden for winter. That way you may enjoy the structure left behind in the post-perennial period. Mine is buxus shapes – still forming – and multi-coloured stems of dogwood, under-planted with cyclamen, narcissus and primulas. Removing the decaying growth also enables the first shoots of spring to be seen more clearly, something we’ll be awaiting with anticipation of warming and longer days. Replacing it later with an even mulch of compost brings a neat background where new growth sings out. The waste collected of course contributes to the compost heap, continuing the cycle of material grown from compost and returned to it. I have also cut down my – or more correctly my daughters – banana tree. This will also be left in place with a fleece wrap and wire cage, topped with bubble wrap to prevent water getting at the crown. Now three years old, leaving this plant out is nerve racking. But in the sheltered spot I am hoping it will not just survive but benefit from the southern sun as it rises in spring. One of the first beds I planted about 6 years ago has looked tired throughout the year. Some of the plants did not really get going, while others seemed swamped. Large daffodils were still going in July, their unruly leaves spilling and spoiling. It just was not working, so it’s time to consider replanting a flower bed. What I need to do is dig it all up, remove the weeds that were sneaking in, and replant with a fresh layout. Some bargains from the garden centre will help to diversify and extend the season as well. 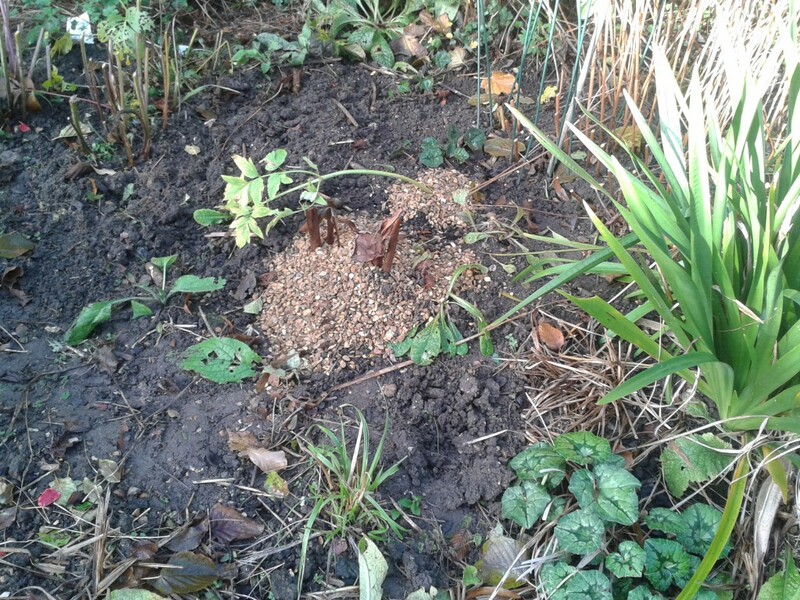 Earlier this year I removed a large Stipa Gigantea from this bed, splitting it into five. This left a gap that I filled with Lupins and Achillea, mainly because I had lots of them. Some of them have established, but the dry summer took its toll.I will increase the number of Rudbeckia here, making the drift larger. When replanting a flower bed the first job is to decide what stays and what goes. Any surplus – in this case most significantly Crocosmia George Davison – are split and potted up. These are useful for passing on to friends or clients in need of a border filler. I split and replanted some Iris siberica, Iris germanica and hemerocalis. Stipa tenuissima have been brushed out and replanted closer to the back. Daffodils are replanted further back, so wilting foliage will be hidden amongst new growth. There were also a few large Verbascum – mulleins – that grow over six feet tall with towers of yellow flower. The large leaves smother anything growing close by, so I have trimmed back the foliage and hope they can make do. I had put off this job, in part due to being busy, but also because such projects can be quite daunting. But it actually only took three hours. Achievable in a morning or afternoon with time to spare!